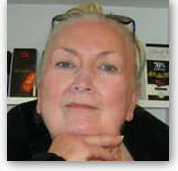 Marie H. Browne: R.N., Ph.D.
Marie H. Browne, R.N., Ph.D., a licensed marriage and family therapist and professor of psychiatric nursing for thirty-four years, maintains a thriving private practice providing therapy for individuals, couples, and families. Her specialties include treating adolescent and adult victims of abuse, as well as their families. Dr. Browne is the mother of her co-author, attorney, writer, and legal analyst, Marlene M. Browne, Esq. Dr. Browne resides in the New York metropolitan area with her husband of forty-six years (and Marlene's dad), Frank Browne.